It’s very rare in this day and age to find a place that can truly take your breath away and leave you staring in awe and wonderment. We see spectacular design on television and the web as if its commonplace, so it’s truly special when you find a property that can once again humble you and make you stop and think. 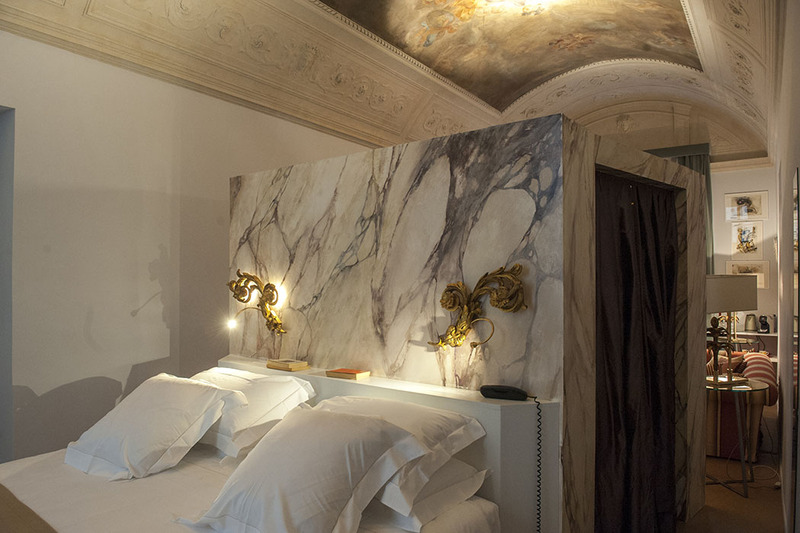 The Leone Blu Hotel in Florence does exactly this. Leone Blu is the personal residence and family home of Maria Teresa Ricasoli Firidolfi (a member of the well-known Ricasoli family, one of the families that wrote the history of Florence and Italy) as well as a palace not just in terms of history but also due to its sheer size with finish and grandeur to match. This property is as unique and historic as the city to which it belongs, and a stay here gives you so much more than a hotel ever could. 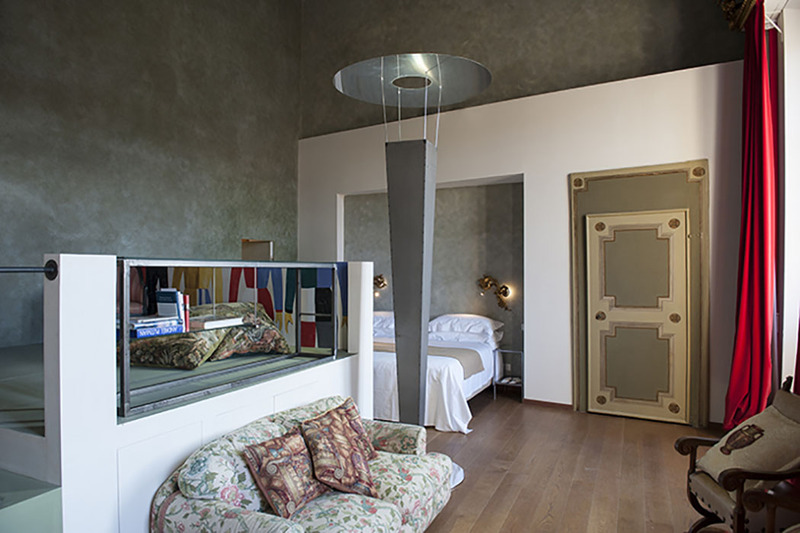 Situated at the Ponte della Carraia on Lungarno Corsini, the ancient Palazzo Ricasoli which has now become the Leone Blu Hotel, looks out onto one of the most spectacular views of Florence. 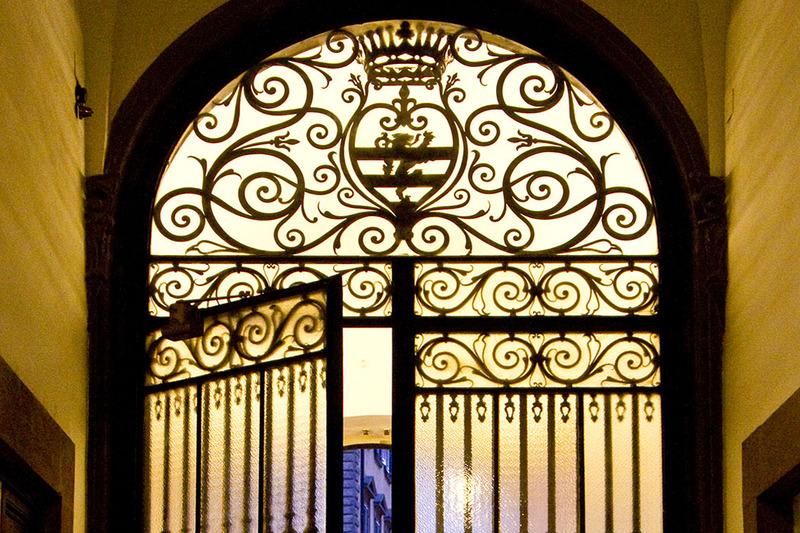 This is a place for discerning travellers who wish to experience a truly authentic Florence. 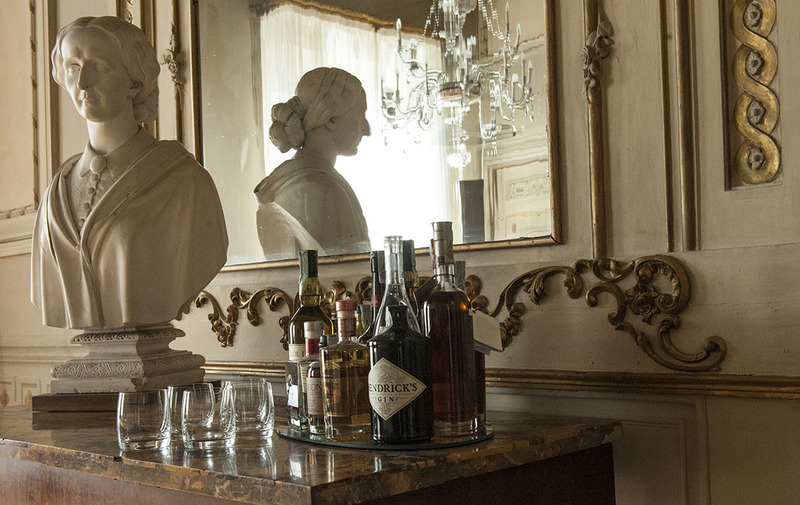 Your host is Maria Teresa Ricasoli Firidolfi, who warmly greets all her guests in person and is always delighted to tell you about the intriguing secrets and history of the property and of Florence itself. In contrast to your friendly and welcoming host, the property is austere and impressive in appearance, but its salons and suites welcome you in with their perfect mixture of old architecture and modern design. 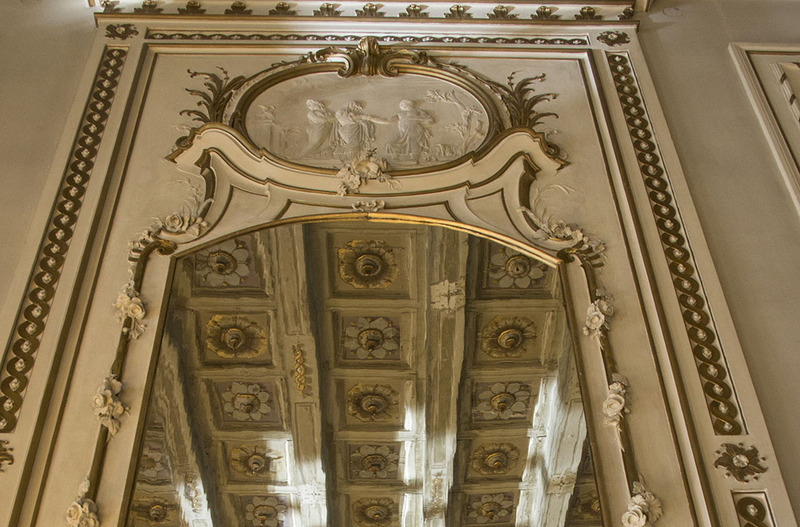 As you enter this historic palace from piazza Goldoni you will be met by a large entrance hall with grandiose stone pillars and staircase as well as fabulous relics like the roman statue of Apollo. 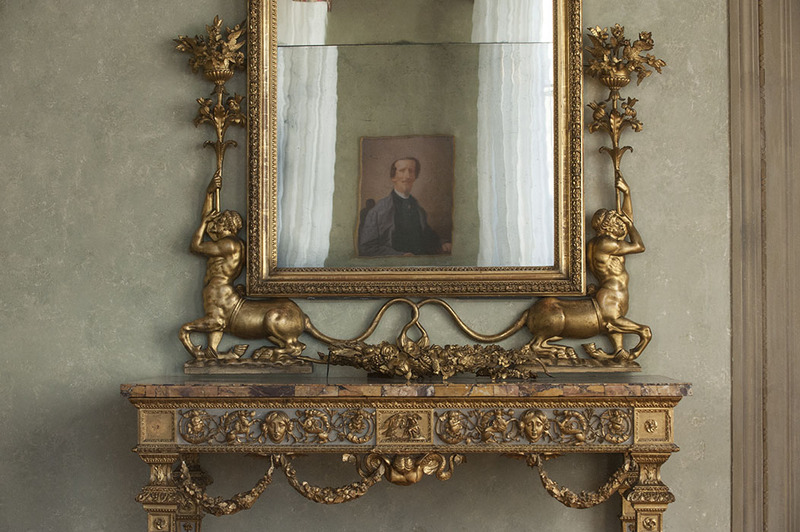 The Leone Blu has nine suites which have each been named after a member of the Ricasoli family and vary in size from 590 to a sublime 1,450sq ft! 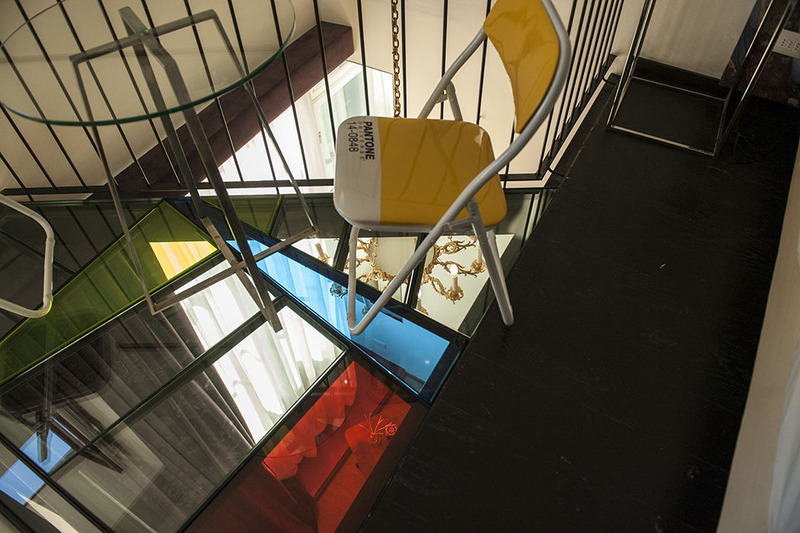 Each suite is unique in its layout and style, combining historic decoration with modern design. Some of the suites are spread over two floors, some have high vaulted ceilings decorated with stunning frescos and they boast wonderful features like: antique family furniture, large crystal chandeliers, stone fireplaces, walk-in wardrobes, large stone bathrooms (some open plan and some with a guest bathroom too), cloakrooms, living rooms, studys and reading rooms and some even have a separate studio which can be used as a second bedroom! 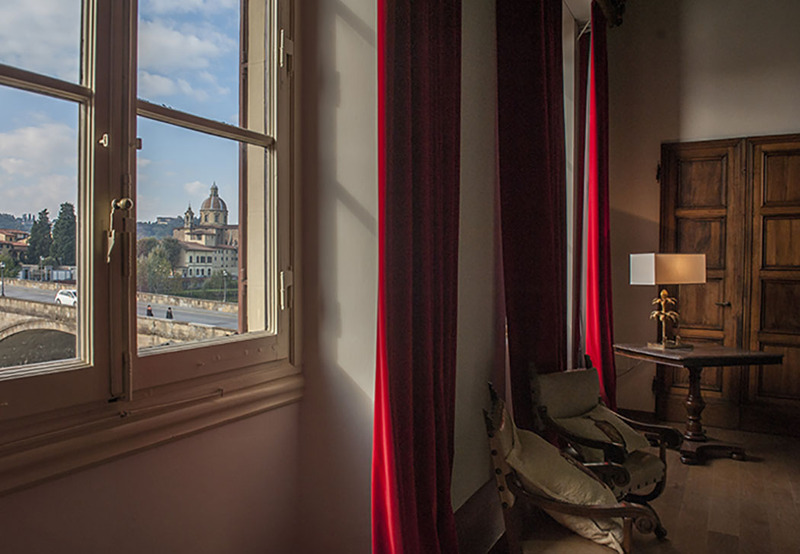 Each of the suites offers a different view of Florence, including views of via del Parione, the Palazzo central court, piazza Goldoni, medieval Florence or out across the river Arno. 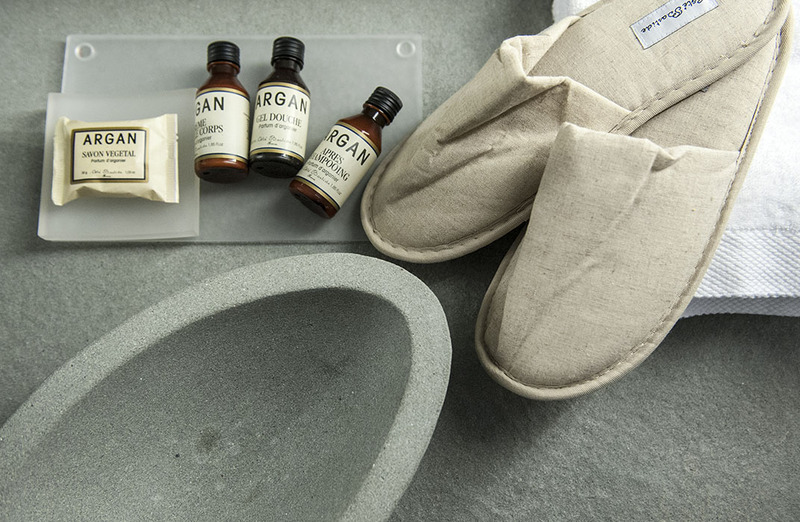 All suites have air conditioning, wifi, TV, coffee making facilities, mini-bar and a safe as well as lovely little touches like slippers, argan bathroom amenities, reed diffusers and delicate ornaments to please the eye. In addition to being a magical place to stay the hotel is also the ideal location for meetings, exclusive dinners and spectacular weddings. 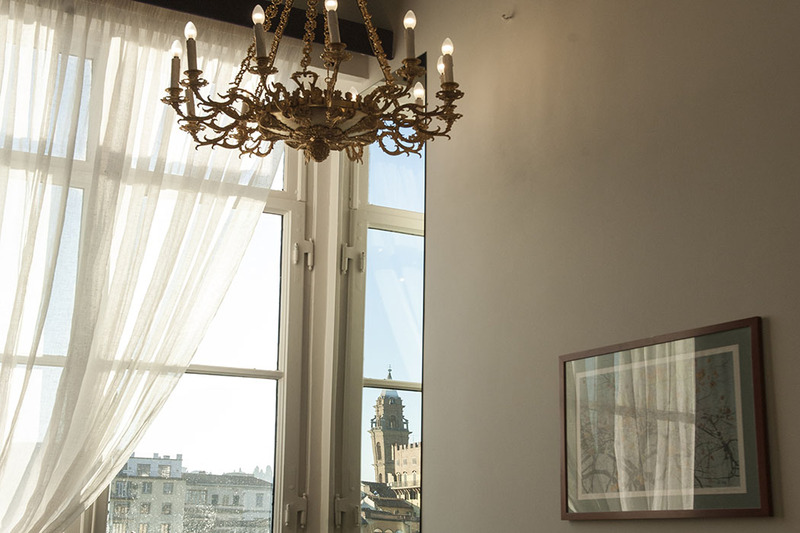 Daily breakfast is served in a beautiful, large salon overlooking the river Arno and features a wonderful spread of sweet and savoury Italian specialities. For dinner there are a multitude of restaurants, cafes and bars to choose from in Florence and your host, the hotel butler or concierge will be happy to point you in the right direction or make reservations for you. 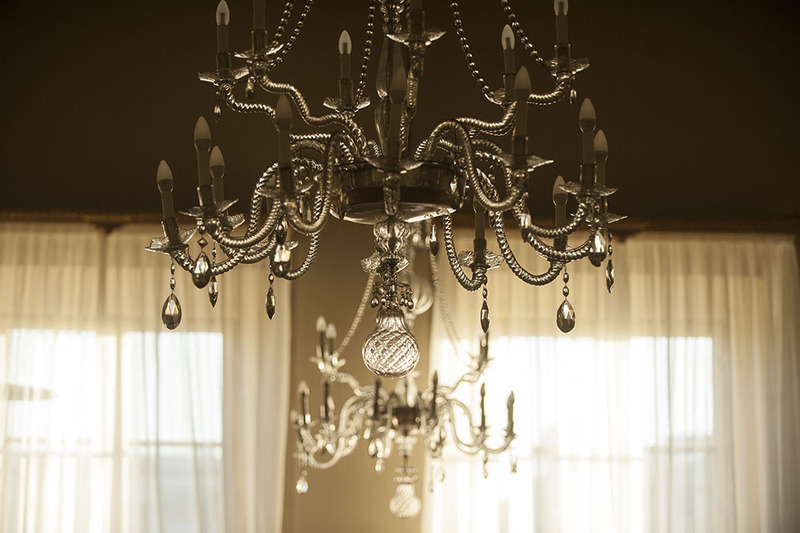 Service is of the highest standard at the Leone Blu and includes a multilingual concierge and reception; courtesy bar; 24h laundry; car valeting service and your room will even be tidied three times a day. The hotel is also pleased to arrange anything you need including: a car with driver; tours with or without a guide; access to museums; wine tasting; cookery courses; plane and train tickets; babysitting and dog-sitting services; horse riding and hot air balloon rides. There is a spa and fitness club just 200m from the hotel at Lungarno or the hotel can arrange a personal trainer for you. Note: some services need to be pre-booked and are payable separately. Florence is a city packed with culture, events, fine wine and great dining but if you seek a little more to entertain you then there are hundreds of museums, churches, palazzo and courtyards to discover. There is always something going on in this city, whether it’s fashion, art, food, theatre or music and the centrally located Leone Blu is within walking distance of it all. In the surrounding area you can discover Chianti (the land stretching between Florence and Siena) which is the heart of Tuscany offering an endless landscape of vineyards, chestnut and oak woods, medieval hamlets and castles to explore. Another property belonging to the Ricasoli family is Brolio Castle, one of the most important and grandiose of the castles in Chianti which lies an hour from Florence, ideal for a day trip. 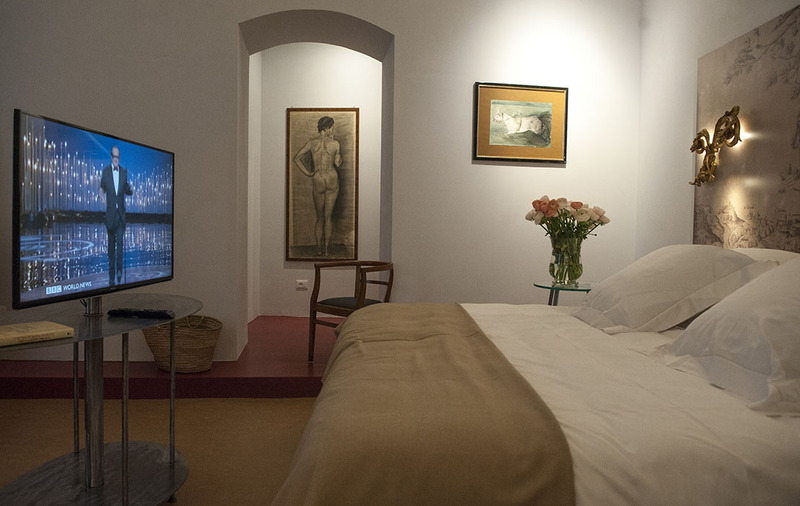 Whatever your reason is for visiting the romantic city of Florence, your travels will most definitely be enhanced by a magical stay at Leone Blu.